I want my kids to know where all the countries are located. I know they learn the states and Capitols in elementary school, but I want them to know where Moldova is located, where the Ivory Coast is; in fact, I want them to know each country on the globe. When they hear in the news about some place, some country, some people, they will be able to think, reflect and know where it is located. I want them to know the oceans, major rivers and mountains. What is the best way to learn these things? 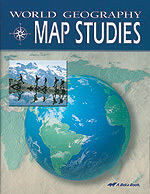 At first I just bought a book with black-line maps and had them color them in, name them and memorize. That was OK, but just OK. But I must admit, geography often gets postponed or put on the back-burner. Summer is a good time to work on geography. It doesn't take long, and we can all use a refresher course. Or if you never learned it, now is the time. 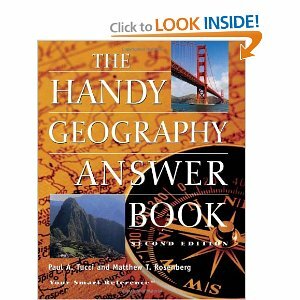 We have also used the Geography Answer Book, which has a lot of information that is interesting. It is one of those books you pick up, start reading and keep perusing. We have also had a globe handy to locate the countries on a sphere as well as a flat map. 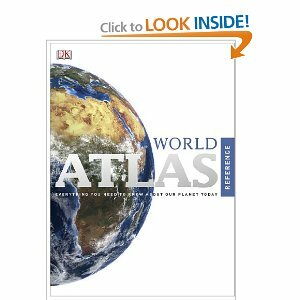 Any other good resources out there? 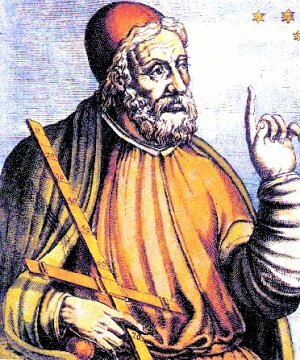 The photo at the top is an illustration of Ptolemy, a Roman citizen of Egypt, who was also a noted geographer, mathematician and astronomer. He died in Alexandria in 168 AD.